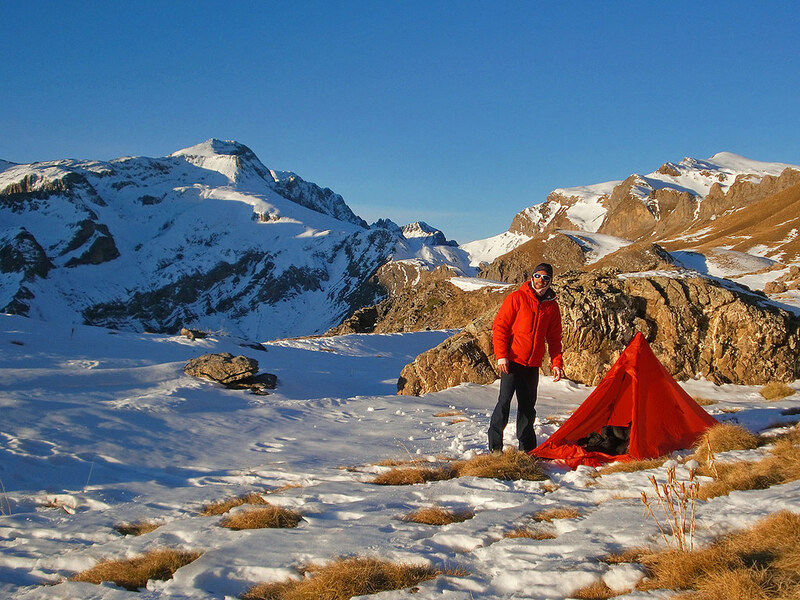 It truly is a pleasure to introduce you to Marco Sánchez, the owner of Spain’s only ultralight gear cottage As Tucas. I have been talking online for a long time with Marco, and we almost went on a packrafting trip together. 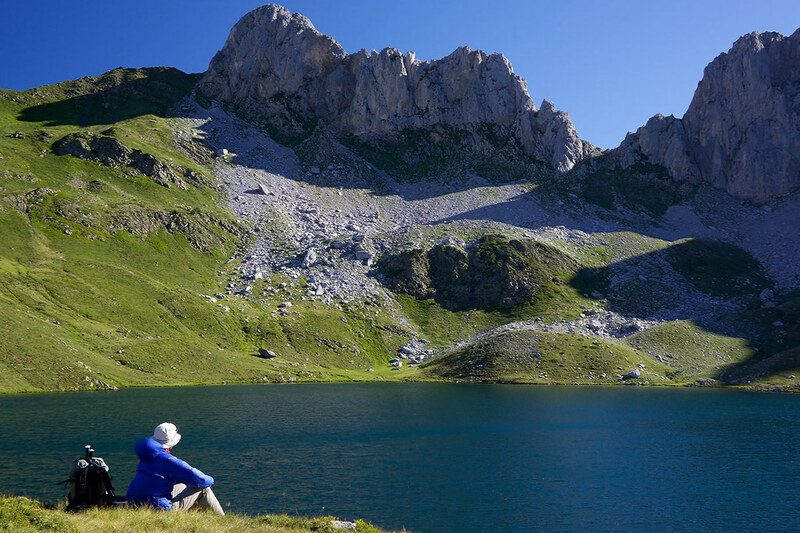 While that tour wasn’t supposed to happen for me, I am certain that in the future I will be hiking with Marco in his home country and experience the beauty of the Pyrenees. But for now I’m very excited to let Marco tell his story and how he made his passion his work! Marco, please briefly introduce yourself and tell us who you are. Since when are you backpacking & packrafting, and how did you start? Since my childhood I have been in close contact with nature, although I was born and bread in Zaragoza, a Spanish city. I fondly remember trips with my parents by the river and to the countryside. This is how my passion by nature started. This passion has led me to play many mountain sports: backpacking, climbing, skiing, biking and more. It is a way to stay in touch with nature. My favorite area is the Pyrenees, which I consider my backyard. 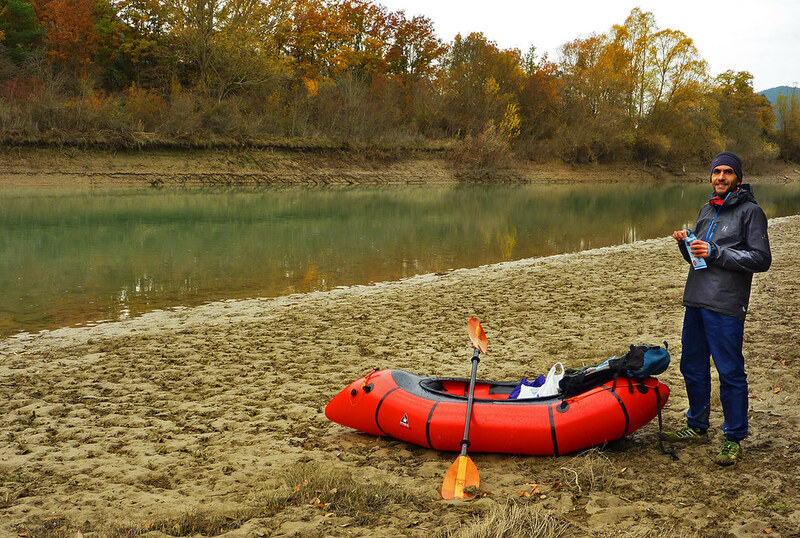 Recently, I’ve started packrafting too. It’s a very interesting way of travelling that I had been pondering for a while. An expedition at Norway on 2012 with my friends Joe Newton and Benjamin Morrison was the perfect introduction. Almost everyday. It recharges my energy and makes me feel part of the environment. Thus, I try to be outdoors as much as possible. During the week I run and ride my mountain bike. I also go for quick walks. Longer trips are reserved for weekends and holidays. Since I founded As Tucas my free time has been considerably reduced. As a consequence, now I’m a fan of “micro adventures”. These, made ​​popular by Alastair Humphreys, are an excellent way to enjoy the surroundings when your time is limited. I recommend give it a shot! I make the most of weekends and holidays to go to the mountains. In addition, I like to do some week-long or longer trips every year. These longer trips, in a self-supported style, allow me a greater level of connection with nature. My base weight for a typical 3 season weekend trip is 3.5 kg. So, we can say that I’m an ultralight (UL) hiker. However, taking into account other criteria besides weight, I consider myself a super ultralight (SUL) hiker. I find revealing Ryan Jordan’s article The SUL Mindset. I carry a very small number of items. Nothing is superfluous and everything works as an integrated system. I backpack in a mountain area with variable weather. Freezing nights are not unusual even during the summer. This requires a more solid and robust kit than the one required in other areas. This also makes more difficult lighten some items such your sleeping bag and shelter. Please tell us where the name “As Tucas” came from, and what it stands for. “As Tucas” means “The summits” in Aragonese, the language of our region. It’s a humble recognition to our territory and mountaineer spirit. Furthermore, all our products are named after the local names of mountains, valleys and rivers. You have a degree in physics and have worked as a teacher before, and you live in a country where unemployment is sadly very high. Was it an easy decision to leave the security of a regular job behind in order to pursue a career in something that you like a lot? No, it was not an easy decision. However, I do not regret it at all. I have always valued my motivation and personal satisfaction above other factors, such as money. The desire to learn new things has led me to work in several companies at diverse positions: as a teacher, web developer or systems analyst. Unfortunately, the current economic crisis makes it much more difficult to move to another job. Without realizing it, I was stuck in a job that no longer satisfied me. That lack of motivation was crying for a pivot point. Nothing better than turning my passion into my way to make a living. As Tucas makes custom gear, garments, quilts and shelters. Can you tell us how the idea to start the company emerged and how you see its future? I have been making most of my garments and gear as a hobby for years. However, I must admit that considering the thriving american cottages, I wondered if something like that would be possible in Europe. My necessity to change prompted me to take action. Suddenly, I was full of energy and motivation, developing a bunch of ideas, learning new things and facing challenges. In short, I was turning a dream into a reality. There are lots of work “behind the scenes” so As Tucas can make a difference. Its future involves bringing together the best of cottages and the best of big brands. Are there any other cottage manufacturers in Spain? No, as far as I know. In Spain, like in the rest of Europe, starting up a business is more difficult than in the United States. The bureaucratic process is more complex and there is a higher tax burden. Therefore, the number of cottages is so small. Your company is a mere four months old and already has been received very well all across Europe. Is business going well? I am very pleased with the As Tucas start. Moreover, it has exceeded all my expectations. It was a high-stakes movement, but market reception indicates me that this is the way to go. Now, it’s time to continue improving our product catalog, the production processes and our customer service, key points of our success. You entered a business segment which a) isn’t very well served by cottages because b) it’s perceived as difficult. How did you decide to offer garments, when so many others find it a hard business? Because it is a challenge, but a great opportunity too. Due to their design and the materials used to make them, each of our garments is unique. But more importantly, these garments are designed as an integrated system. They work together allowing you to face a broader range of conditions at a minimal weight. Can you tell us a bit how you went about the design process of the Cabietos Hoody, and where the inspiration came from? Based on our experience, a base layer shirt for mountain activities should combine three key design elements: a hood that protects your face, wrist cuffs with thumb holes and a really long chest zipper. This combo provides an incredible versatility. Although there are excellent products on the market, none of them combines these three elements. The closest was the Backpacking Light Beartooth Merino Wool Hoody, which is no longer available. However, the Cabietos hoody has even greater thermoregulation capabilities and a more durable merino wool fabric. 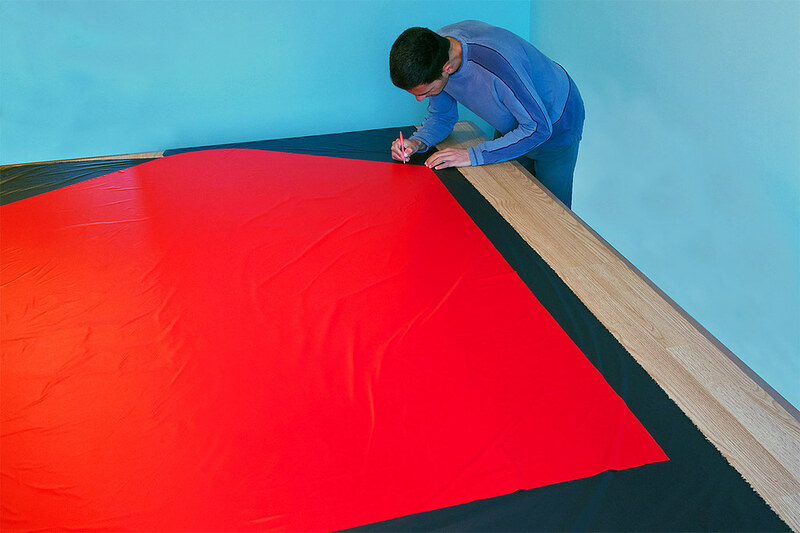 In addition to garments you also offer a cuben (and silnylon) tarp and a synthetic quilt. Will we see a tent/shelter in the future from As Tucas, or maybe a backpack? 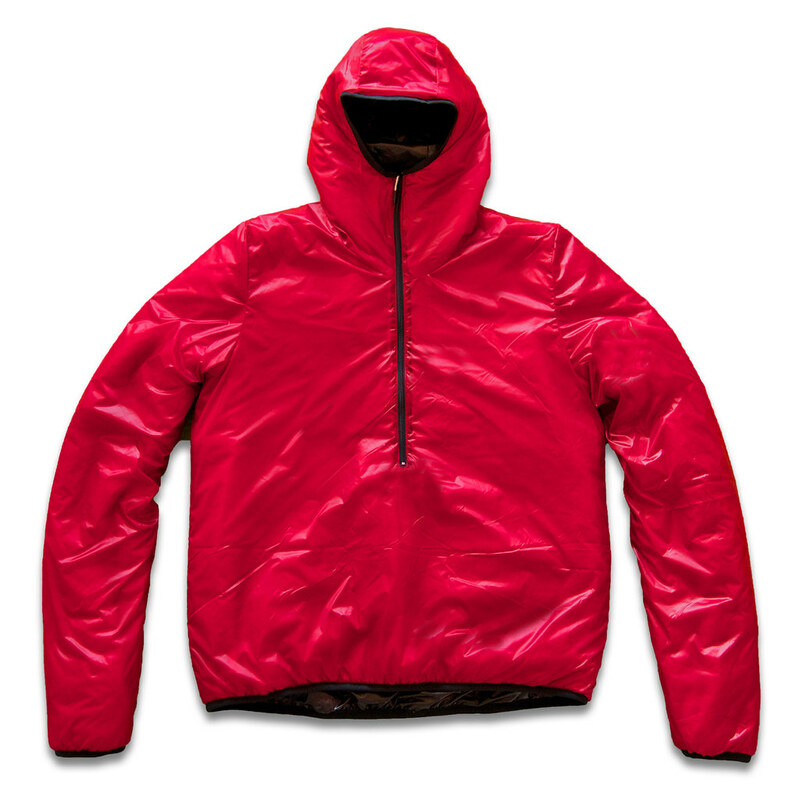 Or will you continue to concentrate on garment design, and maybe offer a windjacket/ hardshell soon? Our catalog is evolving, and will be extended with new products this year. However, we should concentrate our efforts to continue offering something unique and with exceptional value. For this reason, we are not going to enter in some market segments which, in our opinion, are already well served. Marco, we love to be let in on the work-in-progress stuff! Can you let us know what kind of new products you’re working on at the moment? Immediately, our high loft synthetic collection will be expanded with a jacket. As we did with the pants, we have exceeded the mythical Backpacking Light Cocoon collection again, with a lighter and better performing garment. In addition, we will make a major commitment to our down collection with new quilts. In doing so, we will be the very first to offer an integrated system of synthetic and down quilts. This combination, praised among others by the renowned alpinist Andy Kirkpatrick and the hiker Jörgen Johansson, is a robust and modular 4 season sleeping system. To go ahead with this, we have been searching high and low for a suitable down provider. We have started a collaboration with one of the largest polish down producers. They not only provides us the best down available (900 cuin) but does so certifying that it is collected with respect to animal welfare in accordance with European law, an important issue for us. We are always thinking how we can improve our products, and this often involves using new materials. We are going to introduce rainwear made ​​with a Cubic Tech CTF3 and eVent laminate, which is probably the lightest 3-layer waterproof and breathable material currently available. We also continue working with Schoeller in new and better fabrics for our garments and a forthcoming rainwear collection. How works the R&D at As Tucas, do you have a need yourself that you try to fix, or do some of your clients inspire you for new products and ask you for solutions to their problems, which then are adopted in the As Tucas line-up? Our catalog was created around my personal needs, defined by my locale conditions and my own preferences. However, customers needs plays a more important role nowadays. This allows us to offer more versatile and robust products. Despite this, when your garments and gear are used from the deserts of Africa to the Arctic, the challenges are unique. For this reason, you need unique solutions too. Enter our custom works section, where we work directly with our customers to create their products. Mainly from Europe. In addition, we have customers from other parts of the world like the USA and Japan. Curiously we don’t have many Spanish customers. Our mountaineering community is quite traditional and the ultralight philosophy is not widespread yet. Fortunately, the influence of other communities, such trail runners, is revolutionizing the mindset of many hikers. Are you in touch with other cottage manufacturers in Europe, Japan, Canada, the USA and other places? Currently not many. We think that despite being competing companies, collaborating in some areas would be positive for both our businesses and our customers. This weekend! A snowshoeing trip at Ordesa Valley, one of my favorite places. This is an excellent time of the year. Sunny days, mild temperatures and plenty of snow to enjoy yet. Definitely Alaska. True wilderness at a large scale. More closely, the Sarek National Park in Lapland. A hoody (preferably a merino one) and a lightweight windshirt. This combo is so versatile that I use it year round in many activities. Another piece of gear that I consider my “luxury item” is a photographic tripod. I love photography. I appreciate its creative possibilities over the weight penalty. For that reason I carry it on many trips. Are you planning to get out for a trip soon, and enjoy the Spanish spring? Of course! 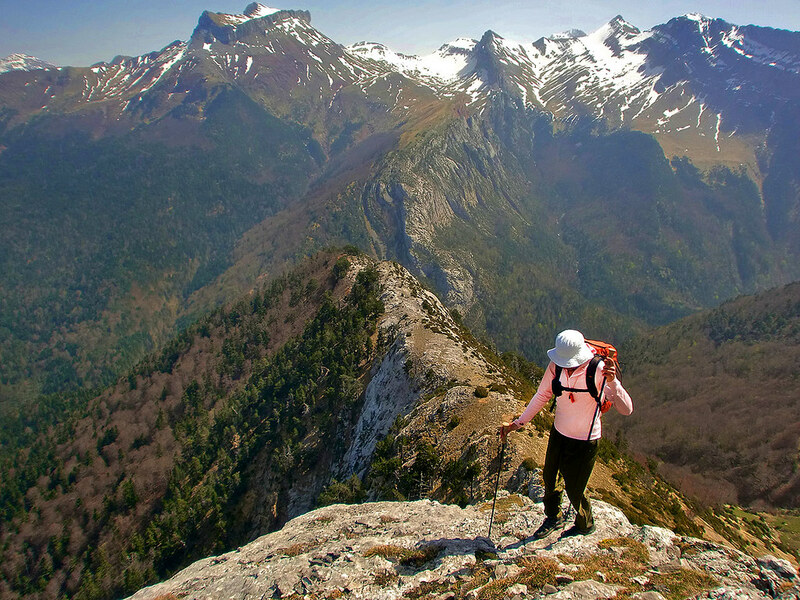 The Pyrenees are spectacular during spring and you should enjoy them. Days are longer and snow melting opens up lots of possibilities. By contrast, snow remains at high elevations, so you can plan really spectacular routes. We invite everyone to visit us. If you do so, do not hesitate to contact us and, why not! share a great day in the mountains.